Naruto Shippuden 435 can be described in a few words, but here let’s make this episode a little brief. The episode largely focuses on how Team Jiraiya went to save the children when Shikamaru and others help them out by saving them. All while an enemy with Byakugan shows up. 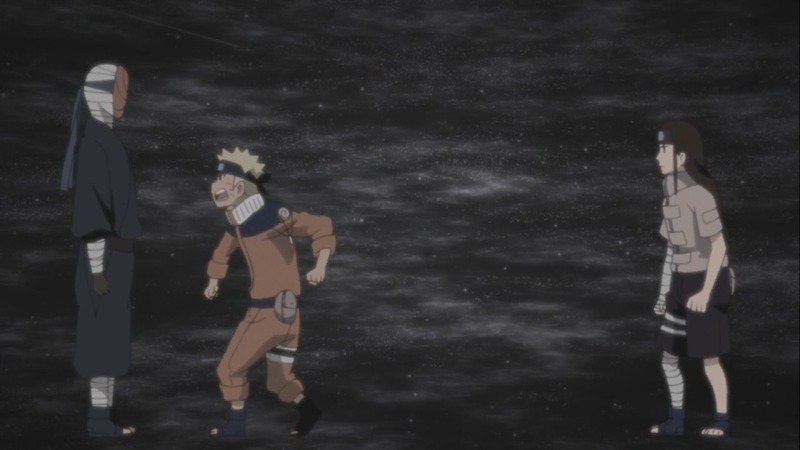 Naruto Shippuden 435 begins as Naruto and others spot a weird object, they get there when they notice a sphere inside, they can’t see whats inside. Hinata and others can’t seem to track the others either. Nagato and others get to the tunnels when they search for the children. 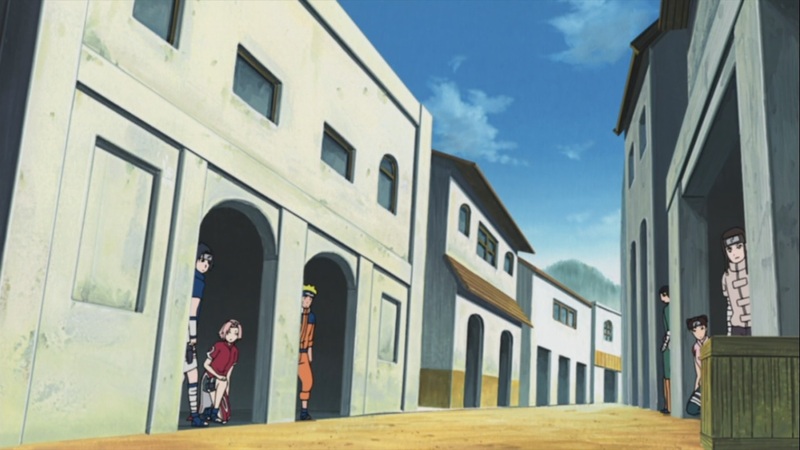 Shikamaru and others walk away as they discuss what they should have done, it seems that they’re following orders and grouping up to come up with a good plan. Nagato and others keep on going when Konan finds one of the bears next to a hole. They head towards it to find that something is chasing them. 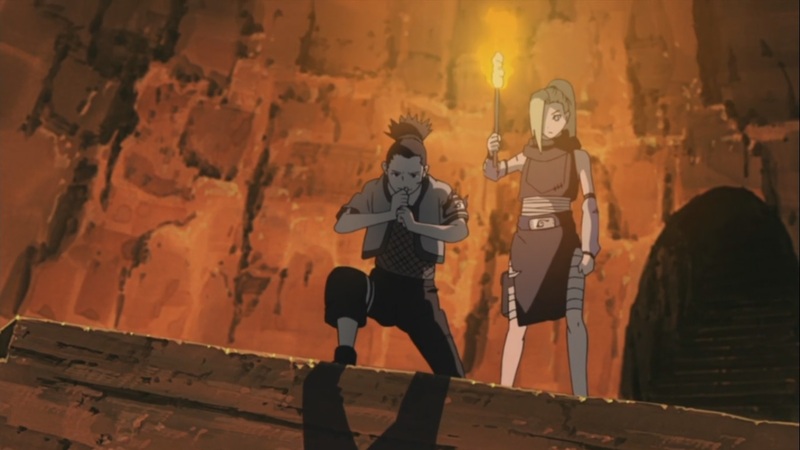 Shikamaru encounters a woman who is praying to their deity who protects the village, they were told that recently a war would occur and that they should go elsewhere. 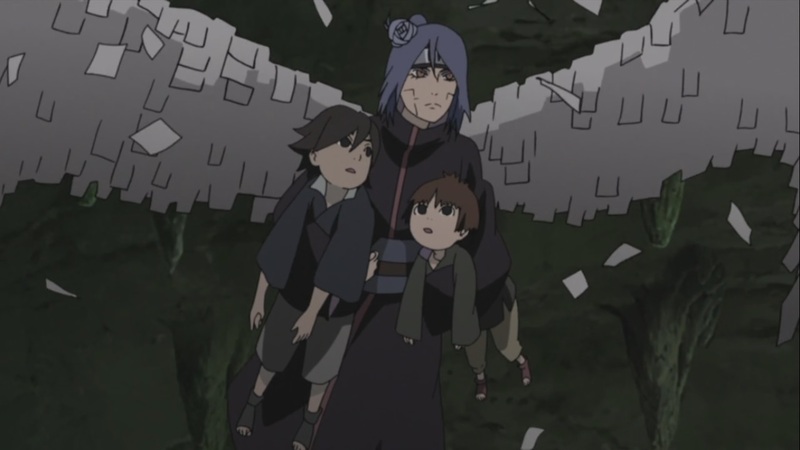 Nagato protects Yahiko and Konan from the monsters as it runs away. Naruto and others see’s a sphere with their captains inside, to which Naruto and Neji run inside it, jump inside it when it disappears. The kids are trapped by a large monster, they don’t know whats going on, however Konan appears as she saves both of them. Shikamaru looks at the shrine and finds something leading underground. 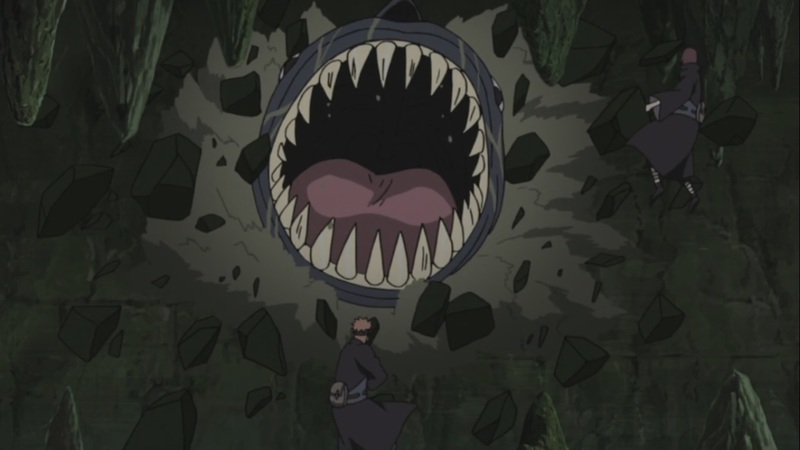 The monster attacks Nagato and others, however out of nowhere there are two which attacks them. 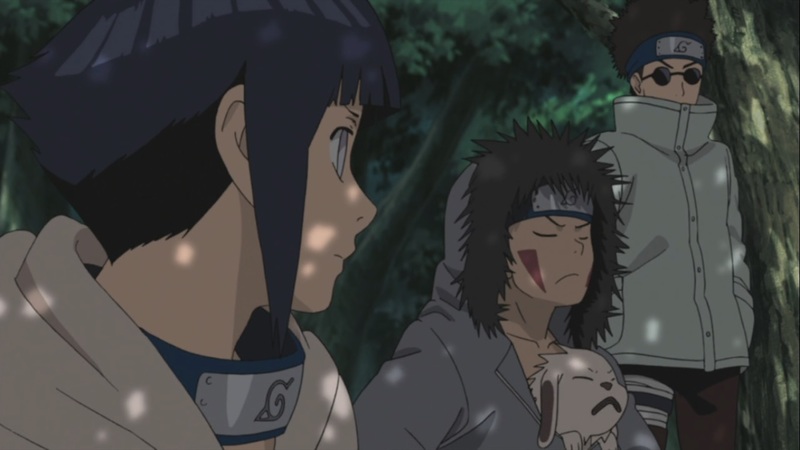 The kids are once again in trouble when Choji appears, and so does Shikamaru which aids in saving them all. Elsewhere we see Sasuke and others talking about their plan while Naruto and Neji wake up to an enemy with a mask with a Byakugan who scares them off, he seems strong. Naruto Shippuden 435 ends here. A boring episode, seemed a little short for my liking, next week we won’t have an episode, but the week after I guess we’ll see a new episode with all of this, Naruto Shippuden 436, titled “The Masked Man”, when we see what comes up next. 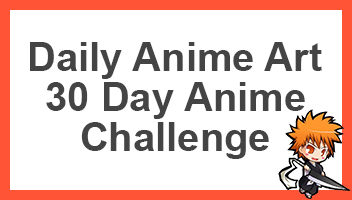 I’ve read the entire manga, and I have yet to watch it. Lol. Even the fillers look interesting. Its actually a nice change to see the Bakugan again, I got tired of seeing just the Sharrigan over and over again.. I think this will be Tobi as a Byakugan user. Yeah, when Nweji got killed, RIP. But we still have Hinata.